As far as we're concerned, ALIFE brought the second coming of sneakerhead-dom. They did the whole Limited Edition, buzz-you-in exclusive thing before it was a corporate catchphrase, and have parlayed it into four stores, an independent footwear label with their stamp on it, and continual collaborations between brands and artists. 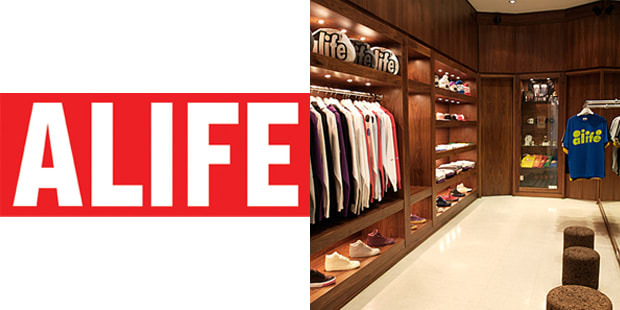 The ALIFE mark goes beyond the product, ALIFE is a lifestyle. Tony Arcabascio, one of the founders of ALIFE, is now the creative director for WeSC.